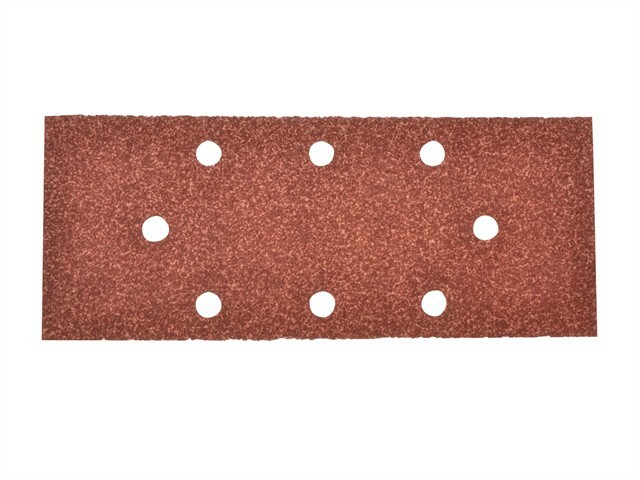 Black & Decker Perforated 1/3rd size sanding sheets made from aluminium oxide. 8 Perforated holes, six parallel with additional holes at each end. Suitable for most sanding applications, including wood, paint and varnish, plastics, plaster and light metal sanding.